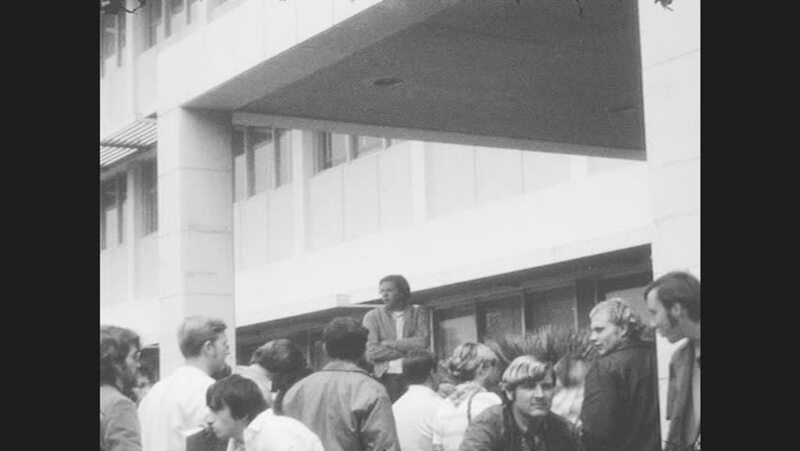 1970s: UNITED STATES: people gather around buildings. Man holds sign: 'come together, make life meaningful'. hd01:22CIRCA 1943 - Spectators applaud as a warplane is flown over an airstrip and the Memphis Belle, a Boeing B-17 Flying Fortress, is shown in WWII. 4k00:201930s: Man holds white flag. Large crowd of surrendered soldiers walks down street. Spectators. hd00:211950s: Teacher speaks to class. Children sit on floor and raise hands. List of names on chalkboard. hd01:17CIRCA - 1965 - Protesters, led by Martin Luther King Jr., pray during a tense stand off at the Edmund Pettus Bridge in Selma, Alabama. hd01:33CIRCA 1910s - Prisoners of war gather in a field and then board a train during the Meuse-Argonne Offensive in World War 1.
hd01:15CIRCA 1918 - Troops attend a stage show and a soldiers draws a cartoon in France in World War 1.
hd00:26UNITED STATES: 1960S: soldiers smoke on ship. American football game. hd01:13CIRCA 1910s - General Robert Alexander escorts the bride in a 77th division wedding ceremony at Sable-sur-Sarthe in France in World War 1.